Growing up in the Chattanooga suburb of Rossville, Ga., John W. Brock, III, MD, was the oldest of five children in a household where curiosity and learning were highly valued. "My parents were very interested in education," recalled Brock, whose father built a successful insurance business from the ground up and whose mother put her teaching skills to good use, first in a classroom and then with her growing family. Brock said his parents made it a priority for all five of their children to receive a quality education. An excellent student-athlete at McCallie, one of the top boy's college preparatory schools in the Southeast, Brock headed two hours west to Vanderbilt University after graduation. "I knew very early on I wanted to have some sort of professional development, but there was no one in my family who had ever been in medicine," he explained. Arriving in Nashville, Brock turned to one of his academic interests when he decided to major in history, while still taking all the courses required for pre-med students. "I felt strongly I wanted to be well rounded, and that has served me well," he said, adding, "I'm still a history buff to this day." Focusing on the sciences and medicine, however, soon became his passion. As an undergrad and later as a medical student, he found the work intellectually challenging and exciting. It was also well suited to his desire to be a servant leader. "I knew it was an incredible opportunity to be able to help people," Brock said of his life's work. After graduating from Vanderbilt in 1974, he embarked on the next phase of his training at the Medical College of Georgia in Augusta. It was there that he was introduced to the specialty that would shape his career. "Roy Witherington was chairman of Urology. He was an outstanding physician and an outstanding human being, and it was hard not to be attracted to what he was doing," Brock said of his early mentor. Brock loved the intricacy of the field and the diversity that comes with deploying both surgical solutions and long-term management in an effort to maximize outcomes for patients. "I get the best of both worlds. I can fix some problems immediately, and I also have some long-time patient relationships," he noted. After medical school, Brock returned to Tennessee for a surgical internship at Baptist Memorial Hospital in Memphis before accepting a residency position at Vanderbilt University Medical Center (VUMC) in urology. In 1983, he was named chief resident for the discipline. Once his training was completed, Brock accepted a position in the community while maintaining his surgical privileges at Vanderbilt. It wasn't too long, however, before he was drawn back to the academic medical center that had played such an important role in his education. "In 1992, Dr. Jay Smith came as the new chair of Urology. He asked me to build the pediatric program from scratch. It was a train that was moving and had a door open ... I just couldn't say 'no' to getting on board," Brock said with a smile. At that time, the Children's Hospital was embedded within VUMC. It would be a little more than a decade later when the ribbon was cut on the freestanding Monroe Carell Jr. Children's Hospital at Vanderbilt ... but the work of building one of the nation's top pediatric urology programs began immediately. "We started with a staff of one physician ­- me - and great nurses," Brock recalled. "Now we have seven pediatric urologists and are one of the biggest practices in the nation." It's also a program that is recognized as one of the best in the nation. 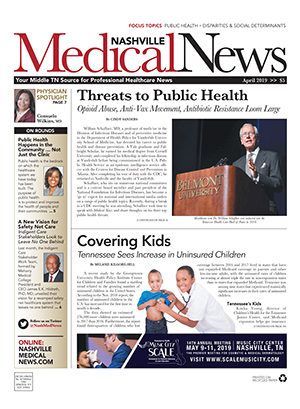 The latest U.S. News & World Report ranking of "Best Children's Hospitals" was released in late June, and Monroe Carell Jr. Children's Hospital at Vanderbilt earned national rankings in 10 out of 10 pediatric specialty programs (see box). "We're ranked in all 10 specialties and have been for many years," said Brock. "My individual program has been in the top 10 since the inception." Indeed, the pediatric urology program leads the way with a ranking of No. 6 in the country. Brock was quick to say that ranking is only possible through the work of many hands. "We're a team, and we're successful because we have a fabulous team," Brock noted. He added the integrated team includes researchers, techs, and administrative staff, in addition to physicians and nurses, who all pull together to deliver the best possible care to their young patients. 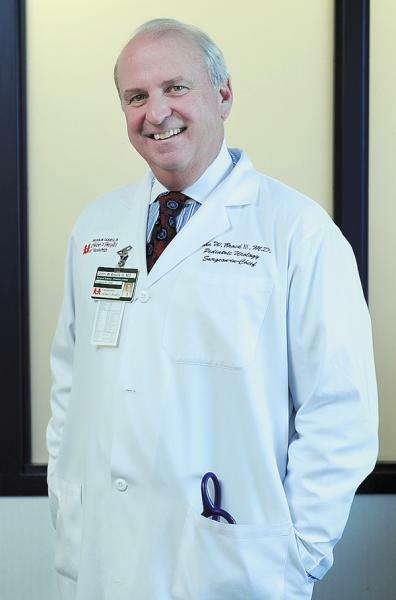 Although Brock is very hands-on with urology, he also has oversight of the entire U.S. News & World Report process. Serving as the hospital's surgeon-in-chief for the past 15 years, he was asked to also take on the responsibility of leading the deep statistical dive required by the publication. "It's a huge data collection process. We have to have to have data integrity," he explained. "My role is to shepherd that process, but I don't do any of the work ... that's done by a lot of great people," he said with a laugh. While it's difficult to attain such national status across so many programs, maintaining that level of quality could be equally as difficult without having a mission-oriented group focused on clinical care, discovery and education. The mantra, he said, is: "I can always do better. We can always do better." Still, during a long and distinguished career, there are many achievements for which Brock is understandably proud. Among his top highlights are developing a world renowned Division of Pediatric Urology, being on the ground floor of building and growing the Children's Hospital, and being part of a team that has hired distinguished faculty who have stayed with Vanderbilt. "We are blessed with that continuity," Brock said. "They have foregone multiple other opportunities at outstanding institutions to be part of this program." On a personal level, he said, "My greatest honor in my career was when I was asked to be the Monroe Carell Jr. professor. To hold the endowed chair from the family who spearheaded the building of this hospital is an incredible honor that I don't take lightly." Outside of his work, the surgeon revels in his family. A father of three daughters, his eldest two are married with children. 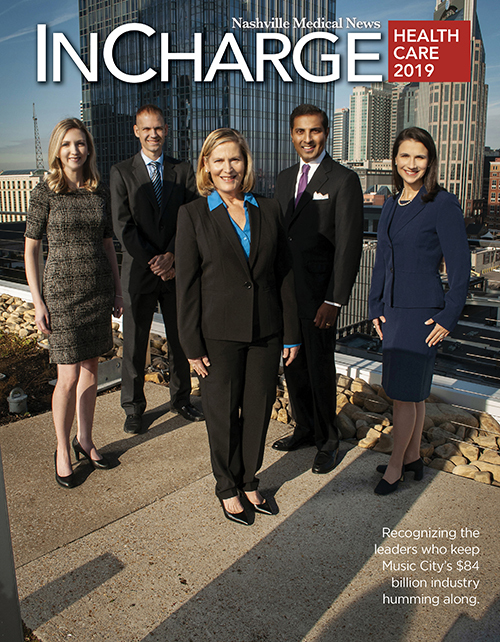 Elizabeth is a nurse practitioner at the Children's Hospital, and Grace is a banking executive here in Nashville. He and his wife of almost 20 years, Lisa, are proud parents of Anna, a rising ninth grader at Ensworth High. "My three daughters and my wife are the loves of my life," Brock said with evident joy. A lifelong athlete, Brock enjoys playing golf and tennis and has run several marathons. "I love the outdoors," he added. Brock recognizes the importance of recharging outside of the hospital walls so that he returns to work each day ready to care for the most precious people in a family's world - their children. "It is such a privilege to work in a place that is about one thing ... and that's trying to make the lives of kids better," said Brock. "That's an awesome responsibility that we not only accept but that we thrive on." In late June, U.S. News and World Report released their annual ranking of the "Best Children's Hospitals" in the United States. Monroe Carell Jr. Children's Hospital at Vanderbilt achieved national rankings for the 12th consecutive year in all specialties. "It is a tremendous achievement and honor to once again be recognized as one of the nation's best children's hospitals," said Monroe Carell Jr. CEO Luke Gregory. "The rankings are a true testament to the commitment and dedication put forth by our doctors, nurses and staff who strive to provide the very best quality and compassionate care to the 1,700 children who enter our hospitals and clinics daily."